We love the olives and the beautiful trees nestled in the foothills of the northern Sierra Nevada and flourishing in the hot dry summers that characterize the growing fields of some of the best olive oil in the world! 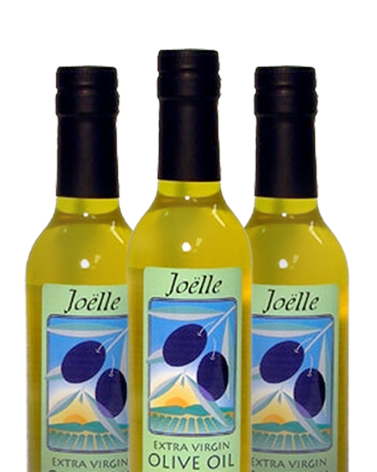 Award winning extra virgin Joëlle olive oils in seven different tastes. All of our oils are unfiltered to enhance flavor and nutritional value. Joëlle Radiance is our exclusive collection of salt scrubs and luscious body oils. Made with 100% Joëlle extra virgin olive oil all are hand-crafted by local artisans. Joëlle Olive Oil’s very special limited edition products! A great place to start if you are looking for a unique gift to bring to your next party or just want a special treat for yourself. 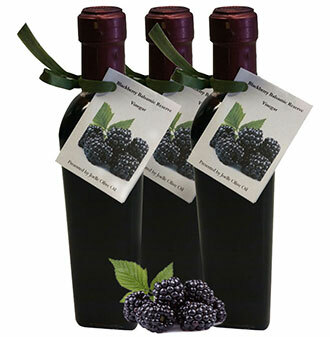 Try our Blackberry Balsamic Reserve Vinegar! Blended with real fruit, perfect for glazing your favorite meats, makes delicious salad dressings, and some people love it as a topping for vanilla ice cream. Try Our Award Winning Olive Oils! Joëlle’s Mission Olive Oil is honestly the best flavor olive oil I’ve ever had!